The best offense is a healthy body? How do you get that? Eat right; sleep well and sufficiently; exercise to keep the vital energy moving; pay heed to your spiritual life; nurture your relationships; and be on a good homeopathic constitutional remedy. 2) Oscillococcinum is a homeopathic remedy in the 200C strength made from the heart and liver of a duck. Taken at the first sign of a cold, it can work very well to nip your cold symptoms in the bud. If you are not on a homeopathic constitutional remedy already, it is fine to take this remedy at the onset of cold symptoms. In many people it works miraculously. If you are on a constitutional remedy there is a risk that this remedy will interfere with it. The other potential downside of this remedy is that if it does not stop the cold immediately, it can make it more difficult to determine the homeopathic remedy that you need for your flu as it can mask some of your symptoms. 3) Influenzinum is a remedy formulated anew every year, just like the flu vaccine, which is supposed to contain flu strains that people in laboratory’s believe are mostly likely to be prevalent that year. The Influenzinum the homeopaths use is usually made to match the flu shot for that year. Which flu shot will be prevalent that year is just an educated guess, but this poses fewer risks than the flu shot, because it is administered in miniscule homeopathic dynamized doses and does not contain the preservatives that the flu shots contain. As homeopaths we are taught that when a person develops an acute illness, one of two things can be going on: First, this may be an exacerbation of their chronic complaints. If this is the case, generally speaking, the chronic symptoms may persist during the acute illness, but with the cold or flu symptoms added on. In this case, what often helps the patient is a repetition of their constitutional remedy. We are warned, however, not to administer the remedy at the onset of the illness, but at the end, because the flu symptoms can be aggravated initially. From my experience, yes, this does happen, and sometimes it doesn’t happen. What I have seen is that there often is an increase in symptoms for a number of hours, followed by a rapid improvement in symptoms, and also in the chronic health situation as well. The second thing that can happen is that the acute illness is what we call a “pure” acute. In this case the chronic symptoms of the patient are suspended. For example if they suffer from chronic back problems or chronic bad temper, all of a sudden these symptoms are much better and they are a joy to be around. 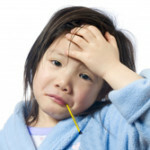 The chronic symptoms are replaced by a new set of symptoms, which are the symptoms of the cold or flu. When this happens the patient usually needs an acute or flu remedy. Aconite is characterized by tremendous restlessness and fear of death. They can have panic attacks and unaccountable fears. Tossing or turning in bed is one of the big signs of the need for this remedy. The pains are terrible and drive him crazy. The face is red, hot, and flushed, or they can have one cheek red, the other flushed (like Chamomilla). The parts can feel numb, tingle and burn. They are worse at night. 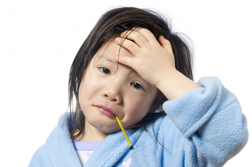 This illness can often come on after a frightful experience. Bryonia alba: One of the big symptoms calling for Bryonia is irritability. The patient often wants to be left alone. He is worse from movement, so he prefers to lie still. He is also worse from pressure and lying on the affected parts. This patient is usually thirsty for large quantities of cold water. He also feels better from perspiration and wet weather. They have to hold their head or chest when they cough, due to the aggravation from the coughing motion. The mucous membranes are excessively dry. They are often worried about business or finances. What if your cold or flu has other remarkable features, such as a sore throat or asthma and breathing difficulties? In the case of a flu with a strong sore throat component, remedies such as Mercurius and its salts, Lachesis muta, Lac-caninum and Phytolacca come to mind? If the asthma component is very high remedies like Arsenicum album, Ipecacuanha and Antimonium crudum and tartaricum come to mind. There is a website put up by Paul Herscu , the author of The Homeopathic Treatment of Children, a great resource for parents and homeopaths alike about commonly used constitutional remedies for children. Paul Herscu has been very concerned about the possibility of another devastating pandemic for many years. He believes that during an epidemic many people will not have access to their homeopaths, so the best thing to do would be to put the resources that they will need to survive an epidemic at their fingertips. To this end he has created a website called Herscu Laboratory Influenza. Here he posts the latest research gathered from clinical experience about which remedy is most likely to be the genus epidemicus for that particular year. Herscu believes that the Genus Epidemicus for the 2017-2018 season are Bryonia alba and Lycopodium clavatum. The website address is http://www.hersculaboratoryflu.org. Please remember to turn to homeopathy for your health care needs. And if you have turned to homeopathy in the past, and didn’t get the results you wanted, turn again. It is by persistence, having a strong will to health and faith that results are obtained. Yes, one dose of the Oscillocinum 200C should be fine.If the remedy is correct for this illness,you should feel that you are improving after two to three days. If you are not starting to improve by that point, you may need another acute remedy for your flu symptoms. Here is a link to an article on How To Take Homeopathic Remedies. Should we take Oscillococcinum only 1 time diluted in water?